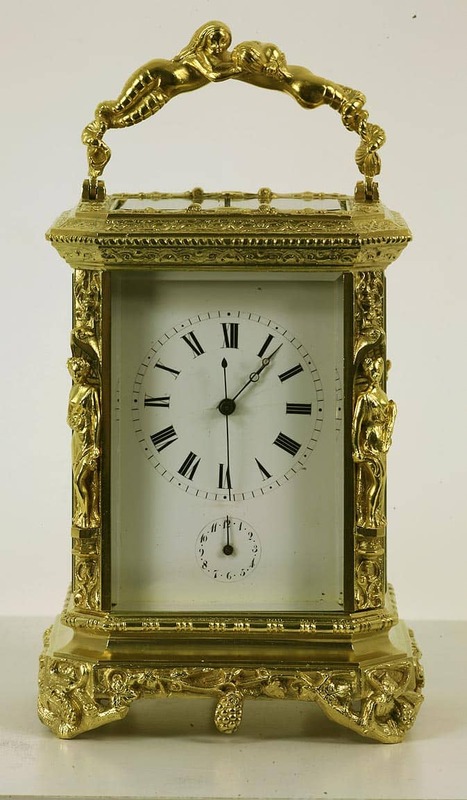 AN UNUSUAL STRIKE REPEAT CARRIAGE CLOCK WITH ALARM IN A GILDED CASE WITH CARYATIDS AND MERMAID HANDLE. CIRCA 1880. 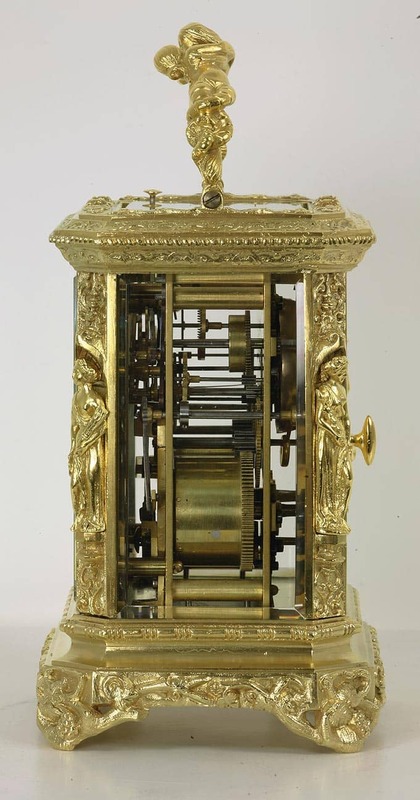 A highly decorative and interesting carriage clock. 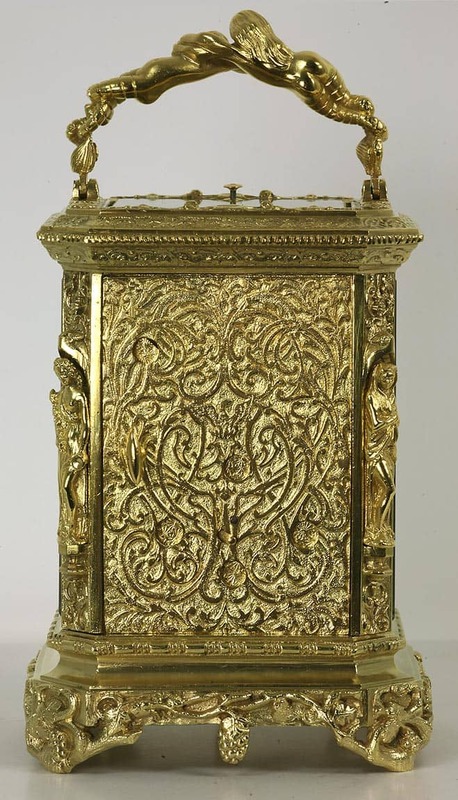 The case with canted corners is profusely cast and engraved with caryatids to the four corners, and a vine entwined base with vine stem feet. The carrying handle of two mermaids embracing. The solid shuttered back door with heavily embossed foliate design has a turn key handle and the shutters themselves are embossed with a floral design. 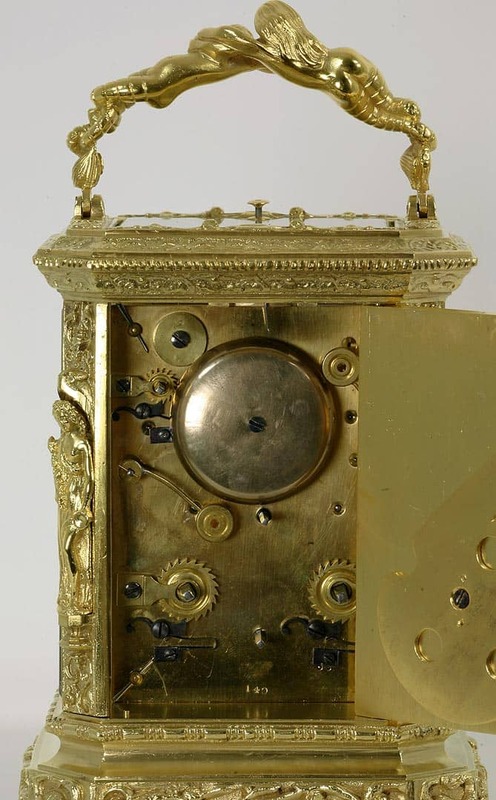 The enamel dial with Roman numerals has an alarm dial below VI with Arabic numerals. 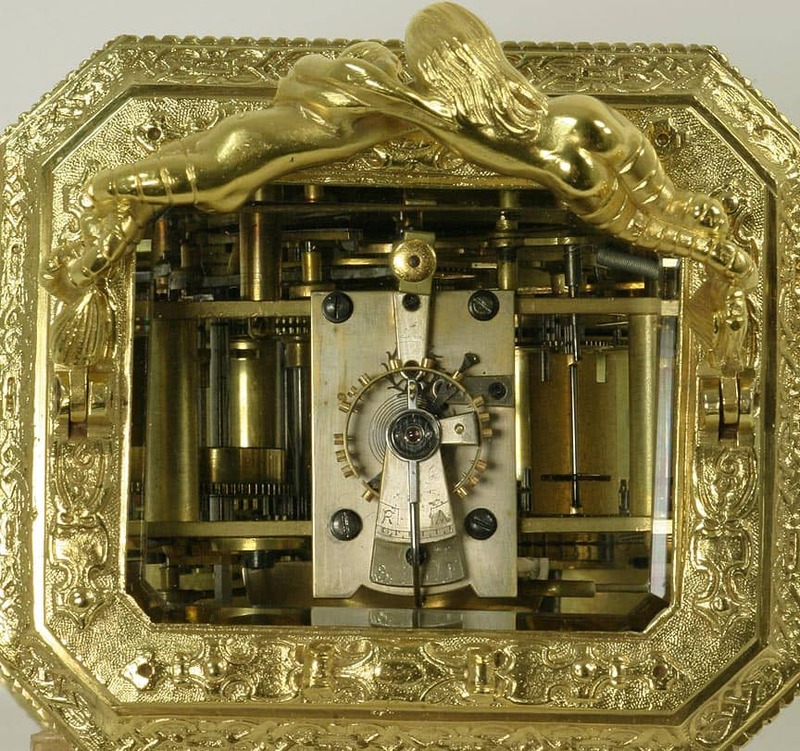 There is a centre sweep seconds hand of blued steel and the main hands are moon and pointer. The eight day bell striking movement is numbered 140. 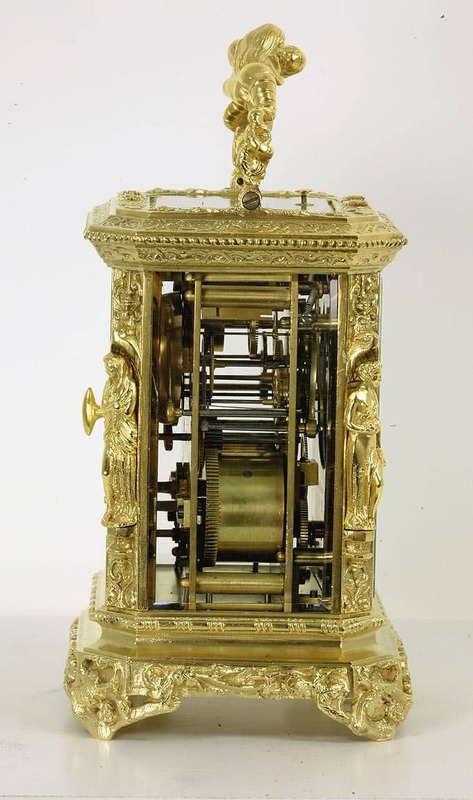 It has a fine quality silvered lever platform escapement with bi-metallic balance wheel and temperature compensation and poising weights. Clocks with centre sweep seconds were very often made for the Far Eastern market. This style of case would have appealed to that market.